Hi I’m Arianna Malatesta, I’m 30 years oldand I live between the hills of Macerata in a little town called Mogliano. 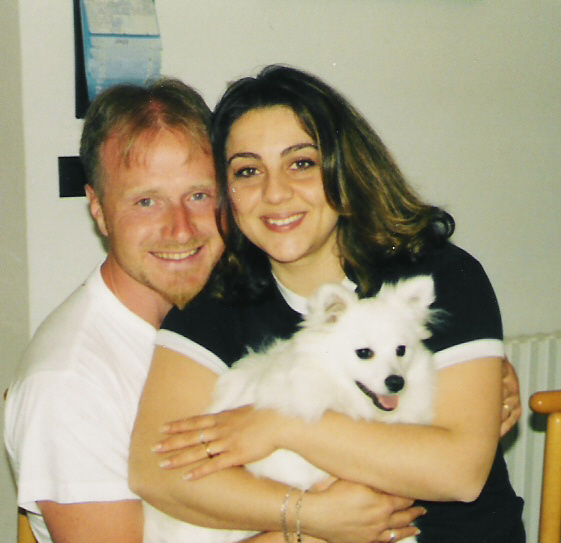 I’m married to Luigino Pellegrini and I share with him my passion for dogs, especially for Volpinos. We started breeding first just as hobby but slowly we started to spend more time and energies trying to best select this dogs and to let this breed know all over the world because is a great heritage of our Italian culture. The 23rdDecember 2002 my husband presented me a wonderful Italian Volpino puppy, bought from a woman in the country of our area. This puppy called Sissy , has immediately won us for her liveliness, intelligence and for the great love she had for her owners. She became like a daughter, she followed us everywhere, on holiday, to the seaside, to the mountains and even into the tent! In this way we came closer to this wonderful breed and we started to go to the shows, to the breedings, and we decided to cooperate to recover this Italian breed, that risks the extinction, and doesn’t have the right consideration it deserves. We are doing that because we believe that the Volpinos are dogs that has an important rule for people, for children, for families and for lonely people. It’s a natural antidepressant, anyone has had a Volpino knows this, and wants immediately anotherone and anybody that doesn’t have this unlimited source of love, must have it, because as we say in Italy “whoever finds a friend finds a treasure”, in this case we can say that “whoever finds a Volpino finds a treasure”!